Breakfast items and lunch panini sandwiches at the Costa Mesa location of Surfas Culinary District. : Surfas Culinary District, the restaurant supply and gourmet foods store, expanded to Orange County with this Costa Mesa location. 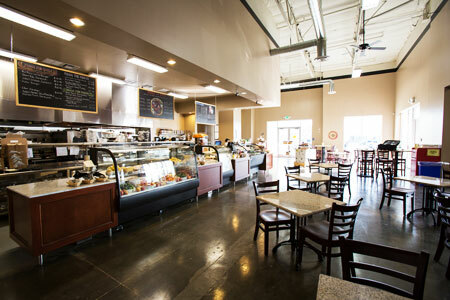 The café serves breakfast and lunch from a menu similar to the Culver City original. Starring sandwiches from the lunch menu include a Diestel turkey club panini; there are also salads and daily specials. Also located at 8777 W. Washington Blvd., Culver City, 310-558-1458.